Volunteers are very important for COHA, because they generously serve our Residents and Staff by giving their time, expertise and professional skills. 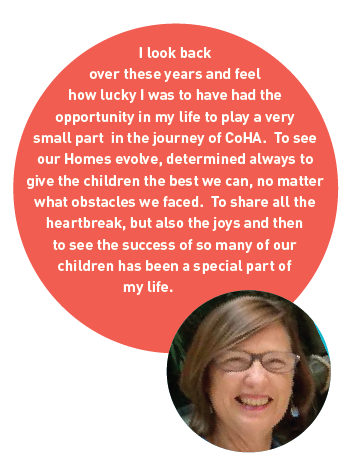 COHA has two kinds of volunteers, local and overseas. The local volunteers are free of any cost for COHA. The overseas volunteers are provided accommodation and food by the Association. The volunteers have a weekly schedule in accordance to their convenience and a six month volunteering commitment is required. All candidates have to fill a volunteering application and be interviewed by a Social Worker or one of the Directors. Our Association loves to welcome volunteers, or in other words, persons willing to reach out their hands and enhance the caring community in Macau. We believe that good actions, will generate more and more good actions. Cradle of Hope Association always promoted volunteering as a means to accomplish its vision and mission, so volunteers are very valued. We have no words to express how grateful we are to all the volunteers, from all ages and countries that have been working with us throughout the years! To become a volunteer contact us through here.